The Scene: It’s really good to see everyone becoming social with the inclusion of new sphere called social media. So, how could Google not leverage this vary concept of being social? And as a result, Google is coming up with the latest ‘Google +1 button’ [after it’s (almost) failure on the twitter copycat platform Google Buzz]. Consequence: But connecting people and creating a social environment is something totally different than having the great Meta tags and good SEO techniques. That is the point which differentiates social media from search engines. Great applause goes to Facebook, as it has introduced a new era of connecting people throughout the globe. MySpace, Orkut, Mixi etc. players are there in this sphere much before Facebook came into being, yet the simple & unique concepts and user friendly navigation model took Facebook to the level of highest visited site in the world lagging behind the world wide web giant Google. Why Google +1: To overthrow the regime of ‘Facebook like’, which is currently not being supported in Google’s social search, Google has introduced this +1 stuff. Though it is being denied by the CEO Eric Schmidt that they are not competing directly with Facebook and the like feature, yet this is the truth. Among thousands of Google products, +1 is expected to surpass all the expectations and to help Google in retaining its title of the most visited site in the world. And Google is really trying hard to take on the social media marketing arena with this +1 button. Comparison: Facebook’s dominance has become more prominent with the inclusion of its LIKE/Recommend button which can be put almost anywhere (websites) with a simple iframe or XHTML code. Facebook like button at present has become a vital part of every digital marketing strategy that aims to achieve a higher click through rate. Not only the LIKE button, but all the apps from Facebook which are specifically aimed at creating a social experience on any website is the best part and perhaps they help in the growth and engagement level of the site. 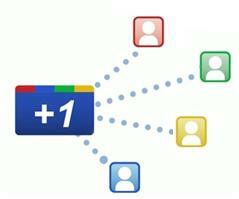 And the latest tool called Google +1 button is supposed to be more of such social type. In comparison to Facebook like and Twitter retweet button, this +1 button is somehow different and is designed to coordinate in between the search engine and the social part through Google profiles. 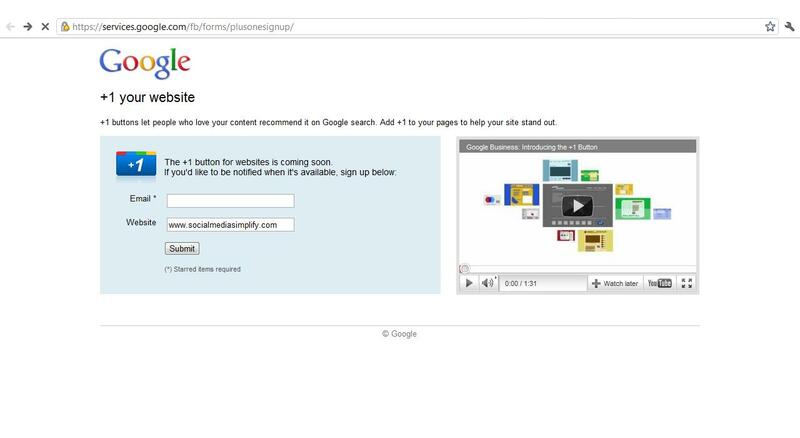 Google +1 button will be present next to all search results and Google ads. Specifically it will be tied to the Google profiles and will ultimately aim to personalize the search results and Google ads. The contacts of the Google +1 user will see the recommendation just below the search result or the ads. Contradiction: Questions like whether Google is competing with Facebook like or not, whether Google +1 will be able to bring Google back to its numero uno position or not are always on the lines of contradiction. Along with these, the aggressive use of this +1 feature by webmasters in near future also cannot be denied. Another big issue that hits the dam is of the networking part: will Google be really able to bring the force of social networking through a mere list of contacts the +1 user will possess at that time? How many of us would love to have a look at what our Gmail contacts (whom we might not even know) share through Google +1 button? Will the users and the contacts, not connected/networked truly, benefit from this +1 button? Well, these are the questions popping up now against Google +1 button. I just hope with the launch and the first use of +1 button (and with the help of feedback/comments from my readers) I get all the answers. To answer your poll, I don't use Facebook because Facebook sells your private information to the highest bidder.